Gratefully Inspired: Guest Post: Jab, Cross, Hook, What? Good Morning sweet friends! Yall know I love making blog friends - and when they live within driving distance of me? Well that's an extra bonus because it's sometimes hard to find locals. Well today I have an extra special treat for you today. 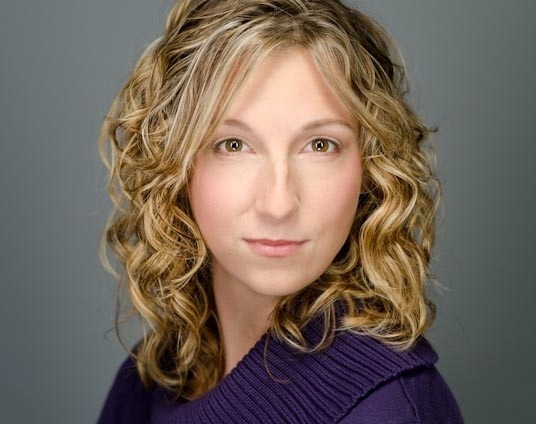 Today, I'm going to introduce you to the sweet and very talented Courney Giardina. 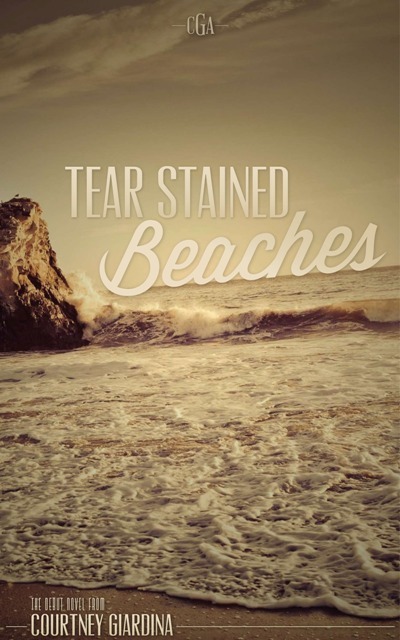 Courtney is a Charlotte, NC based author who just published her first novel - Tear Stained Beaches - in February 2013 by Take Two Publishing. She is currently hard at work on her second novel to be released Winter 2014. I'm in the middle of Tear Stained Beaches and I'm hooked! And I'm just not sure I can wait for that second novel, so Courtney can you hurry up a little :) There's also a tiny synopsis of what TSB is all about at the end of this post (your welcome), so run on over to Amazon or your local Barnes and Noble and pick it up! It’s hard to believe it’s been over a year since my move to Charlotte. Time sure does fly. It was around that time that I started really getting into health and fitness. It wasn’t only a way for me to get back in shape, but to meet people in the new city I now called home. I tried everything that I could find when it came to working out. The list was almost endless: boot camp, water aerobics, pure barre, the gym, even a personal trainer. All of these I loved, but my wallet didn’t. Then one day as I was pulling out of the grocery store, when on the other side of the parking lot, I saw an opportunity for a new challenge! 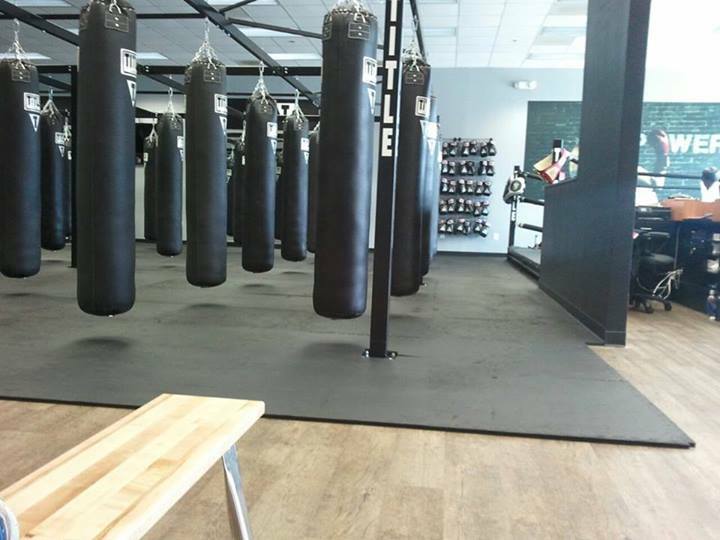 When I walked into Title Boxing club here in the Ballantyne area of Charlotte I had no idea what to expect. Rows of punching bags hung from above and a large timer that read 3:00 was anchored to the wall. I was given a pair of boxing gloves and hand wraps to wrap my hands before the start of the class. Thankfully their grand opening was just a few days before so I was one of many newbies in the class. I had a trainer wrap up my hands, picked out a bag and took a deep breath before the bell rang for class to start. I swear the first 15 minutes were the worst part for me. It’s a mix of high intensity cardio and stretching to get your body warmed up. The minute hand likes to play games with me during this period; I swear it slows down just to torture me. I make it through though and head over to gulp some water before the real fun starts. 8 rounds of 3 minutes throwing different kinds of punch combinations followed by 1 minute of active rest. By the end of round 8 every muscle in my body hurt and the sweat was crying its way out of me. The worst part? We weren’t even done yet! The final 15 minutes consists of the most intense ab workout you’ll ever encounter. Plank holds, supermans, bag swings, static holds and use of the medicine ball are only a few of the ones I can think of at the moment, but I mean it when I say you’ll love every minute of this treacherous routine. I’m now entering my sixth month as a member of Title Boxing Ballantyne and I’ve loved every minute of it. The one thing I really love about the class is that it doesn’t matter what fitness level you are at, anyone can do this workout. Everyone is paying attention to their own bag and their own technique that you don’t feel intimidated at all. Another thing I love is that it doesn’t ever seem to get easier. You just learn how to punch harder and move faster to challenge yourself more. 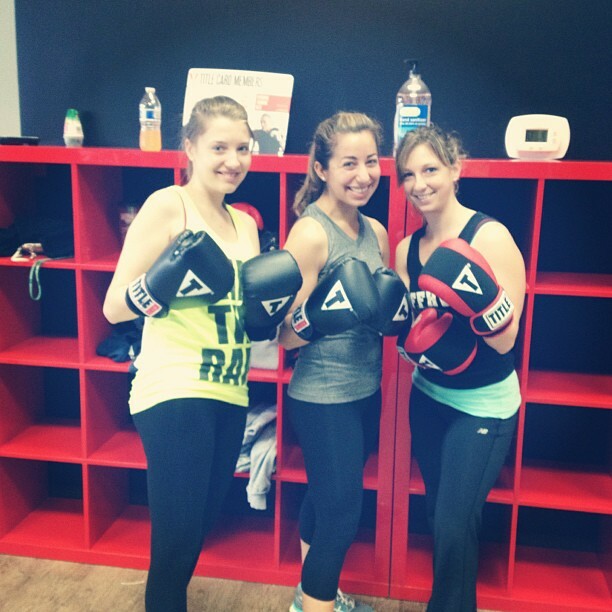 If you have a Title Boxing in your area, I highly recommend you try it out! I’m addicted. Sounds like the post-baby workout I NEED to get back in shape! Can't wait to start working out again. That novel does sound like a hard one to put down! I'm going to have to check it out! Nicole- I'd love to hear what you think if you do get a chance to read it!